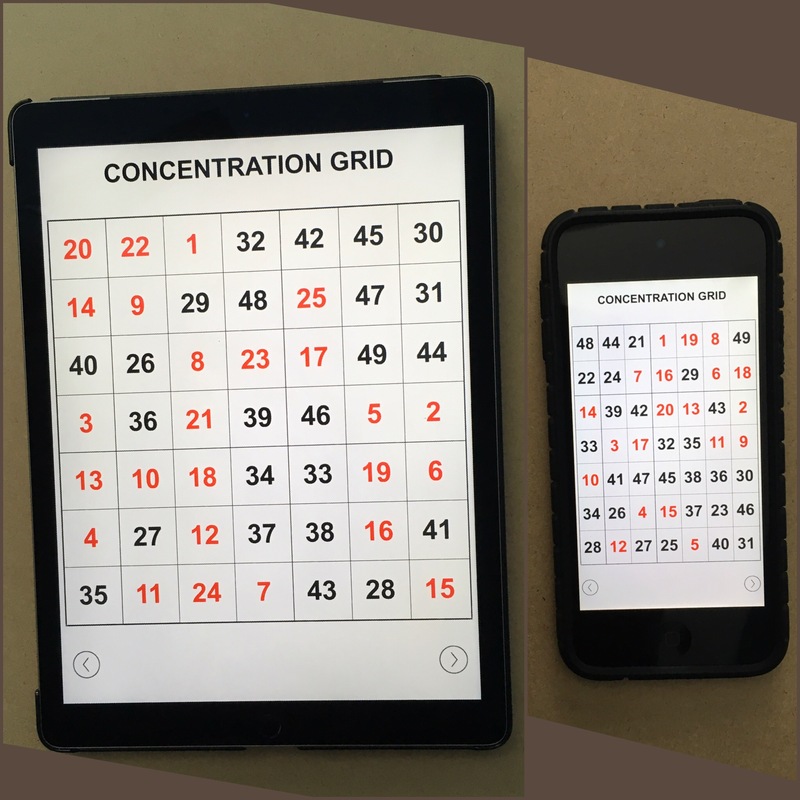 CONCENTRATION GRID is a web-based/app version of the concentration/mental focus grid exercise that coaches use to help their athletes develop focus/attention skills that are important for athletic performance/success. 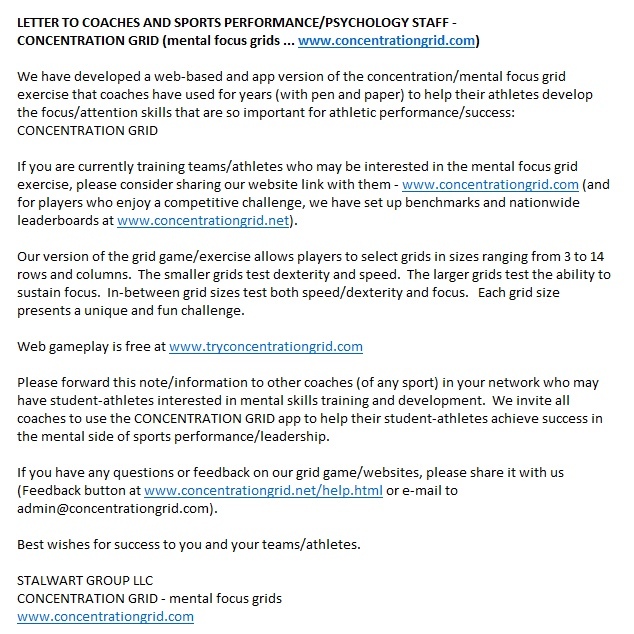 If you are currently training teams/athletes who may be interested in the mental focus grid exercise, please connect at www.concentrationgrid.com (players who enjoy a competitive challenge can visit the benchmarks and leaderboards at www.concentrationgrid.net). 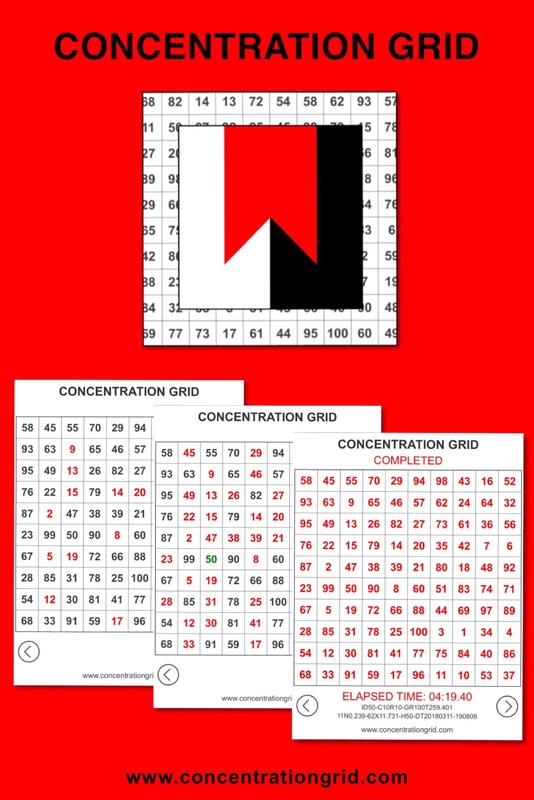 CONCENTRATION GRID allows players to select grids in sizes ranging from 3 to 14 rows and columns. 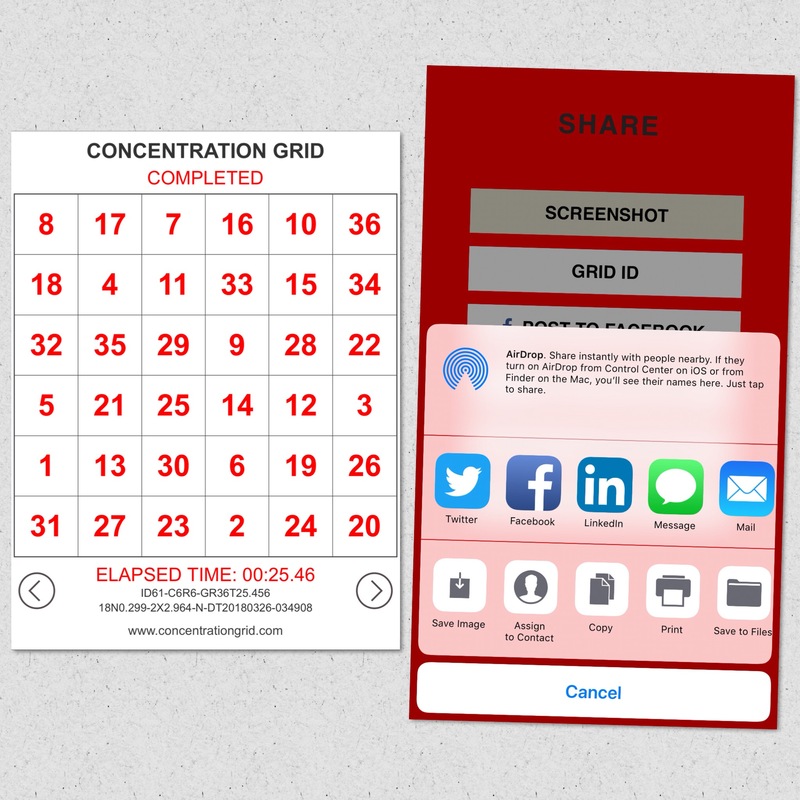 The smaller grids test dexterity and speed. 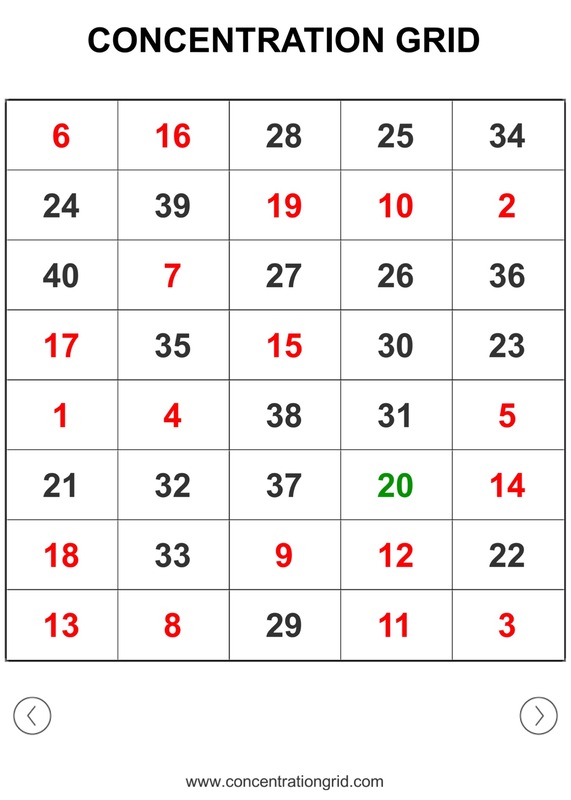 The larger grids test the ability to sustain focus. 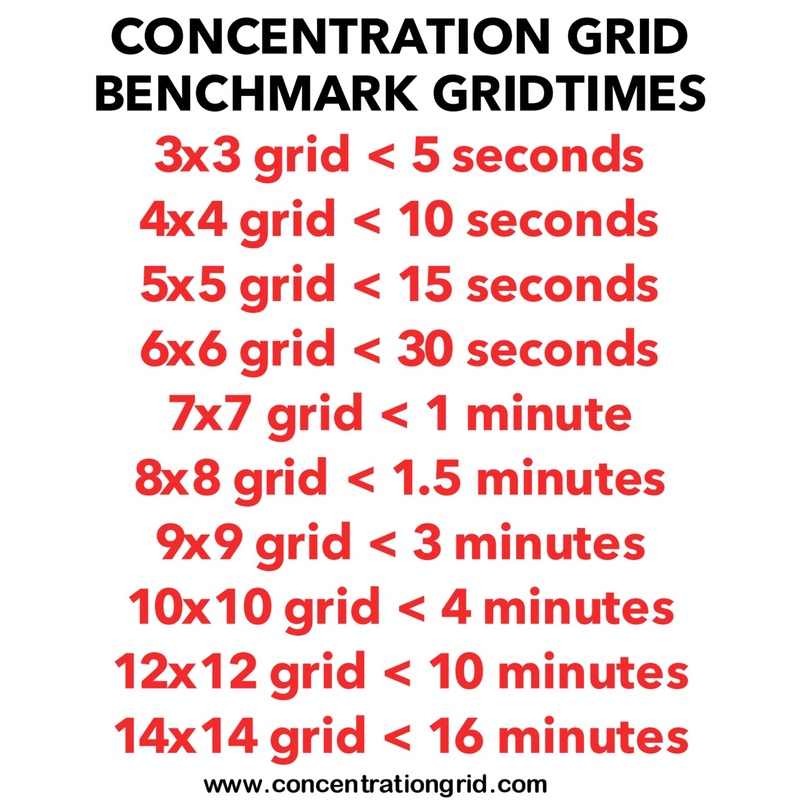 In-between grid sizes test both speed/dexterity and focus. 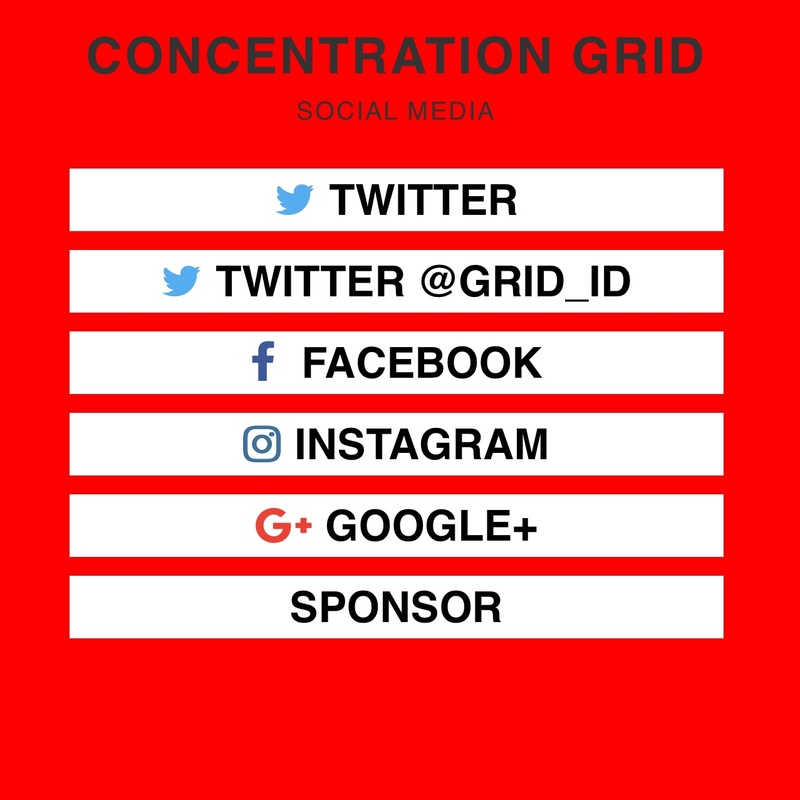 Each grid size presents a unique and fun challenge. 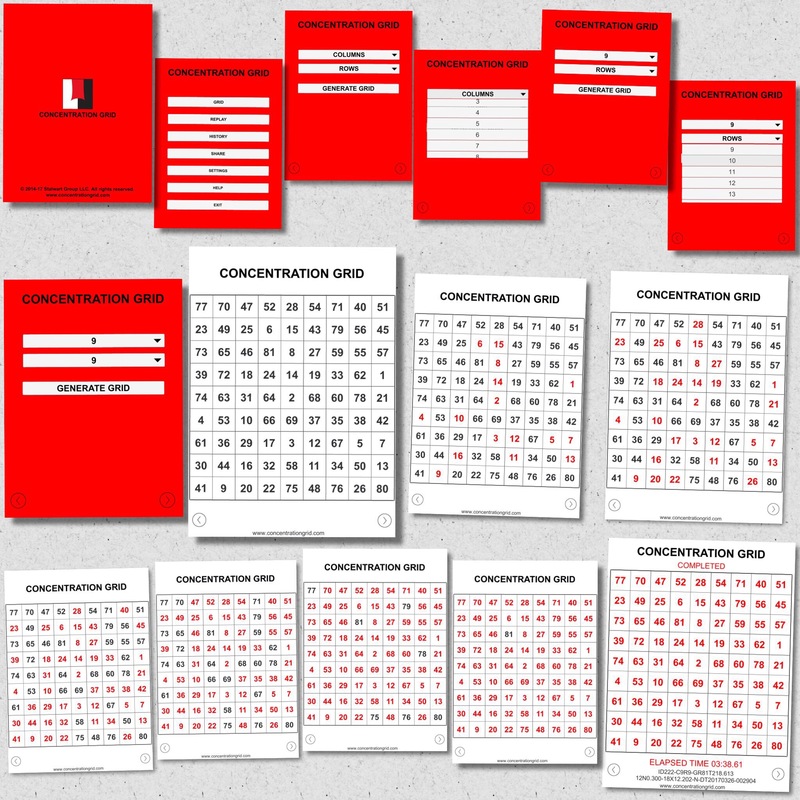 Web gameplay is free at www.tryconcentrationgrid.com Share CONCENTRATION GRID with other coaches/staff in your network who may have student-athletes interested in mental skills training and development. 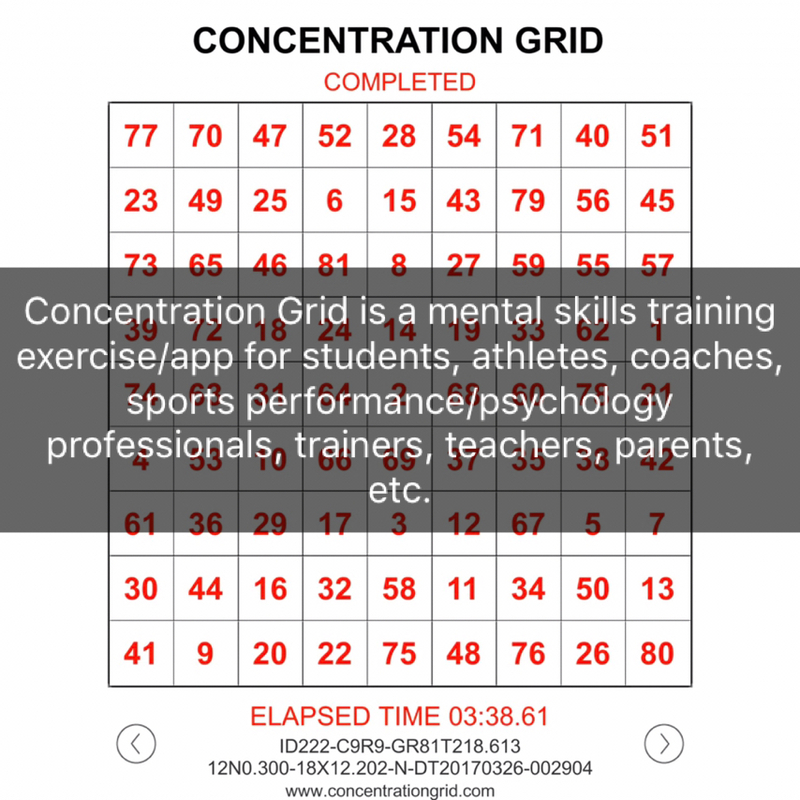 Coaches and sports performance/psychology staff can use mental focus grids from the CONCENTRATION GRID app to help student-athletes achieve success on the mental side of sports performance/leadership.